City night is always beautiful. She is just like a charming girl, showing her beauty every time. The colorful light is jewelry, dotted on her dress. 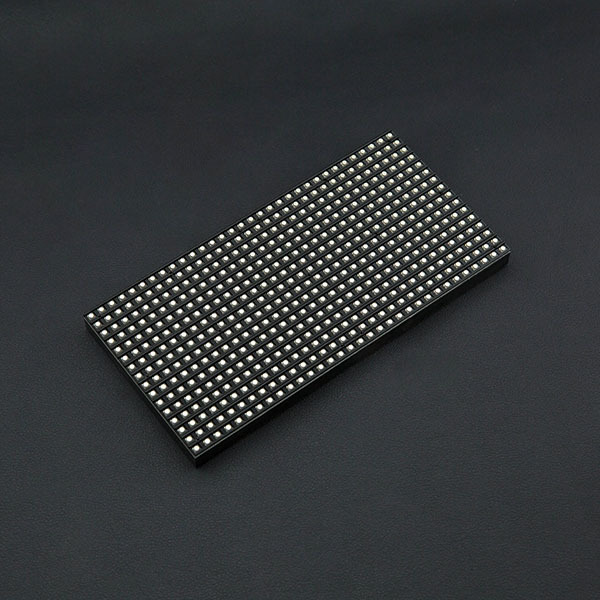 This is a 32x16 RGB LED Matrix Panel, it has 512 full-color RGB LEDs in all. Each LED can be independently addressed and controlled. It requires at least 13 digital GPIOs to control the LED matrix. The led matrix has 2 IDC connectors (DATA_IN, DATA_OUT) on the back, you can cascade multiple panels and make a huge screen together. BUT Arduino doesn’t support this function, its speed is not enough to multiple panel. 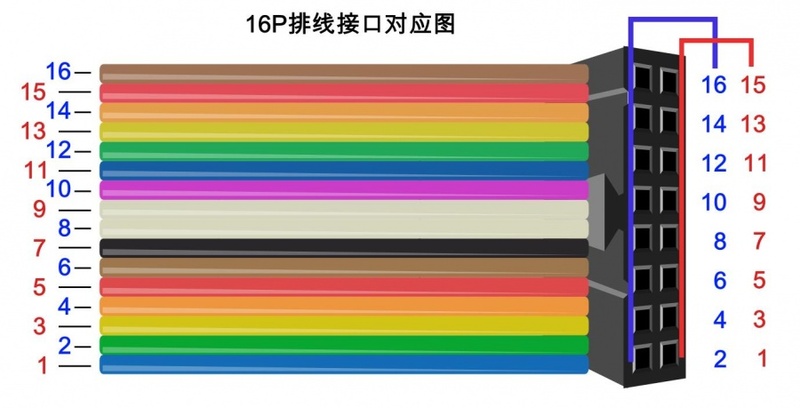 What's more, it is a high brightness, long life, no pollution, pure color LED display module. It can be used both indoor and outdoor, safety and stability, the module can not be mutually extrusion deformation, also can be used normally in harsh environment. Note: This panel needs a 5V@2A power supply. And if you connect 4 or more screen, it needs a high performance controller, such as Mega 2560, Raspberry, etc. 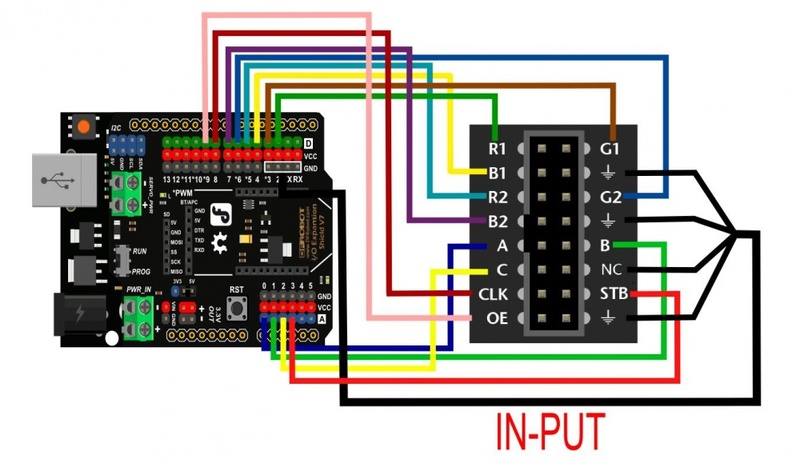 Note: The pin order of DATA-IN and ADTA-OUT is same，POWER SUPPLY 5V. According to the pinout to connect, then upload the code to UNO, you will be able to see a beautiful display effect. Note: It needs an external power supply, the USB is only 5V@500mA, not enough power. Click to download the library Adafruit-GFX-Library. RGB-matrix-Panel. How to install the library? * For 32x16 RGB LED matrix. // until the first call to swapBuffers(). This is normal. Sample Code 2: Display: "Welcome to DFrobot 32x16 RGB LED Matrix"
Shopping from 32x16 RGB LED Matrix Panel (6mm pitch) or DFRobot Distributor.